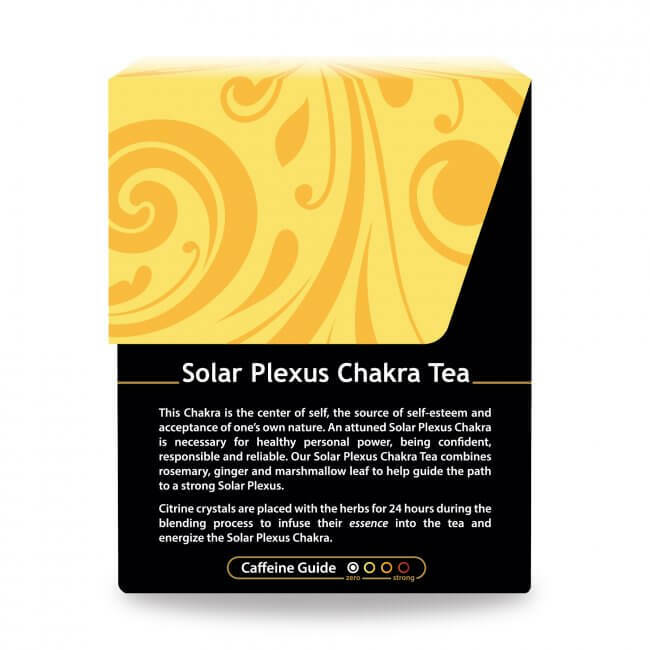 This invigorating, solar plexus blend, enlivened with the essence of citrine, provides a truly unique tea experience that facilitates those wishing to connect with their power center. The Sanskrit word for the 3rd Chakra, Manipura can be defined: Mani = pearl, Pura = place, or “City of Jewels.” Unravel the intricacies stored inside this rich power center and you begin to understand why. 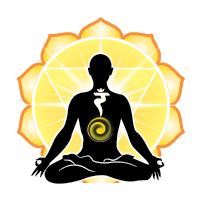 The Solar Plexus Chakra, or 3rd Chakra, is considered the place where the ego lives. When you’re confronted with injustices, either aimed at yourself or another, do you speak up with confidence and calm? Is your “gut” in good working order? (Both metaphorically, as well as physically.) If you can’t answer yes to both of these questions, you might consider spending some time fortifying and balancing your 3rd Chakra. When in harmony, this spot, located in the middle of the abdomen (think naval), uses its earned wisdom to transform judgment into respect, greed into compassion, and envy into generosity. Rosemary, is an aromatic and hardy evergreen shrub, and can be found growing near the kitchens of those who love to cook. Included in traditionally Mediterranean dishes, this versatile herb also maintains a strong reputation as a healer, as it is filled with nutrients. Lemongrass , has a tangy and cool profile, with a hint of mint, and is quite multifaceted as a culinary and medicinal herb. Ginger Root , boasts the reputation as one of the most popular spices worldwide. Ancient and well regarded medicinally, beloved as an addition to a plethora of Asian foods, this versatile spice makes its appearance in our Solar Plexus Chakra Tea for a reason: its fiery nature assists in fortifying the fire element vital to the health of the 3rd chakra. Orange Peel , when added to tea, orange peel brings a distinctive sweetness and delightful aroma to the mix. 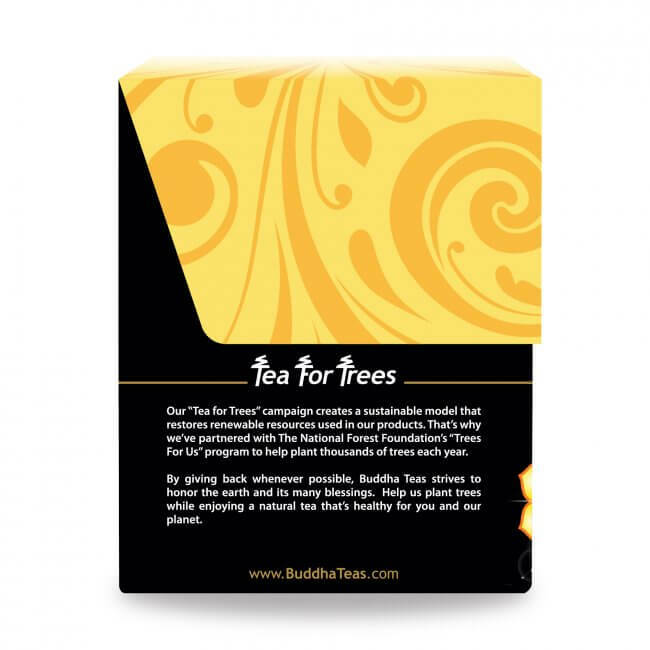 Marshmallow Leaf , soothing, moistening, and known to cool, this 2000+ year old herb purposefully accompanies this tea blend. Citrine: Known to cultivate imagination and personal power, this luminescent, golden-yellow stone brings the subtle power of its transformative nature to the user’s intended outcome. Keeping a small citrine gemstone in your pocket helps illuminate your natural tendency towards happiness and abundance. Extracting an “essence” of a stone may sound woo-woo to those unfamiliar with using such an inanimate object when intending mental, emotional, or physical healing. However, for thousands of years, people have indeed utilized gemstones and crystals for this exact purpose. Whether practitioners place the stones on the subject’s body while conducting a session, or a person wears jewelry containing a particular stone, or even carries one or more in a pocket, using stones and crystals to facilitate wellbeing is definitely not new, and most assuredly not as esoteric as you might think. In crafting our Chakra Tea line, our production team places the desired gemstone or crystal inside the container of dried herbs, where its essence in actually infused in the blend. In this way, while enjoying the benefits of the herbal infusion, you also take in the healing properties of the accompanying stone. 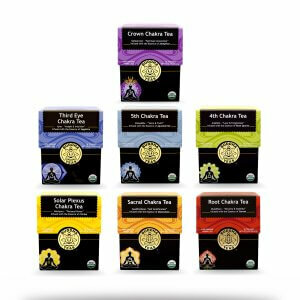 We feel that the best way to stay in touch with your chakras is through the power that nature provides, which is why our chakra teas are made with 100% organic herbs and spices. We package our teas in bleach-free tea bags to remove unwanted chemicals, and never include any fillers or added flavoring. 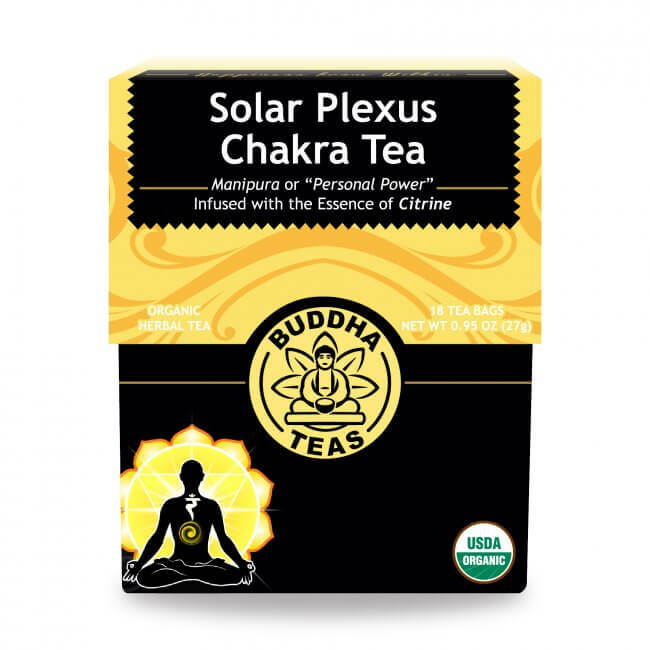 Try our tea today and save with the coupon codes often found on our product pages. Keep your cupboard stocked by purchasing in bulk, and save even more when you order $50 or more with our free shipping offer! It was my first buy and I really love it, the taste and the way it make me feel I am going to try all the other ones. Definitely recommend. High quality, delicious, high vibrational experience. Love everything about this blend. Perfect herbs for IBS, but also absolutely delicious. I drink a cup nightly after supper. This was my first purchase from Buddha Teas and I am so glad I found you! This tea is fabulous. The flavor is so smooth and wonderful. I have been experiencing some digestive issues, which is what drove me to purchase this one first. I have been enjoying it daily! Review Title: One of my favorite flavors of the Chakra Tea collection! Modest flavor goes down smooth & leaves me wanting more. I have a disease, and decided to give this a try to see if any of my symptoms would improve, and I was not disappointed. 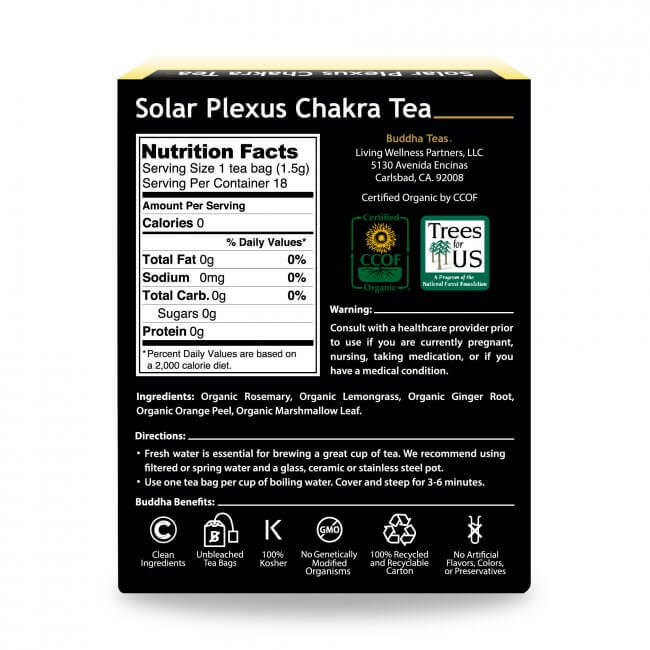 This tea is wonderful for the solar (celiac) plexus. My digestive issues have improved, my mood has improved, and I am far less anxious. The taste is great as well. I will definitely try the other chakra teas since this one is so much better than my expectations. I like this tea a lot normally I don't like teas without caffeine but this one is great! This was my first experience with this tea. I loved it so much I shared it with my clients. It's tasty and I'm comforted knowing I'm loving myself with something as simple as a cup of tea.